Daniel's magnificent house. A feat of modern, energy efficient, ecological architecture and mechanical and electrical installation. 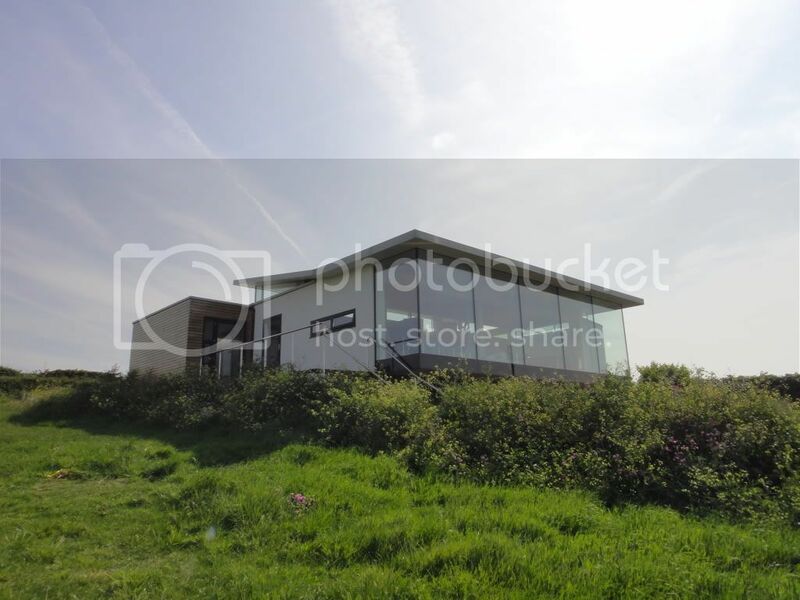 E-Si were responsible for the design and installation of all Mechanical & Electrical installations including a 7kW IVT Ground Source Heat Pump complete with Intelligent Controls and internal 160L Hot Water Tank, Underfloor Heating, Plumbing and Fitting of all Sanitary ware. Installation of Heat Recovery Ventilation system, Electrical wiring of house, Niko lighting and Heating control solutions. The Niko Home Automation system box. 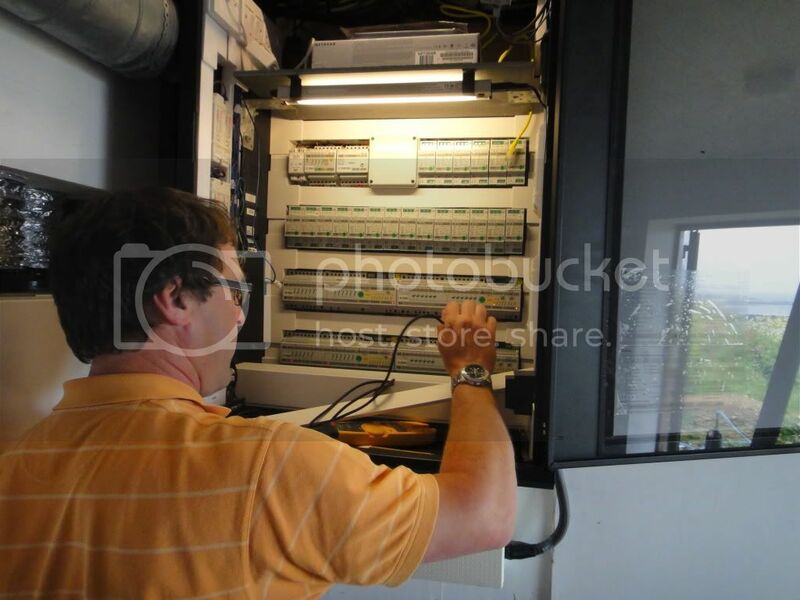 "The neatest Niko lighting control box I've ever seen" says E-Si CEO. 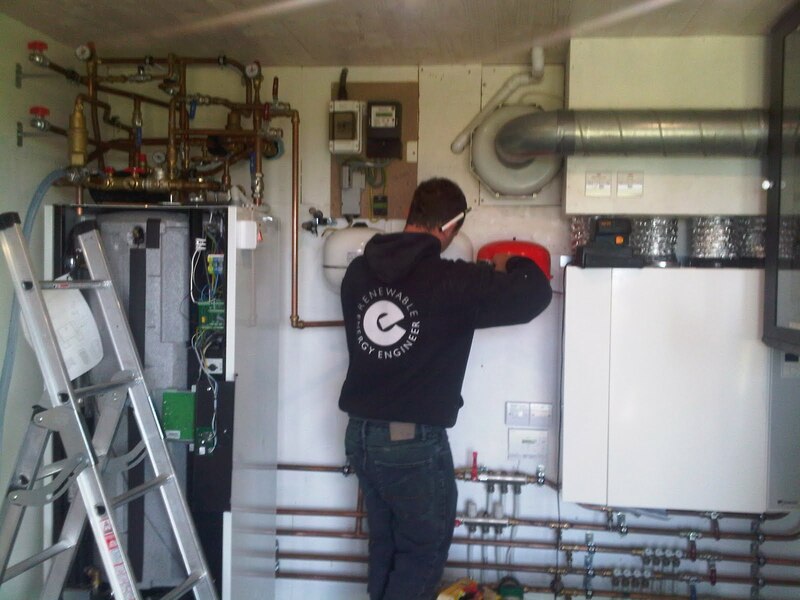 Liam completing hydronics at Luminaire, Torteval which was being commissioned the very next day. 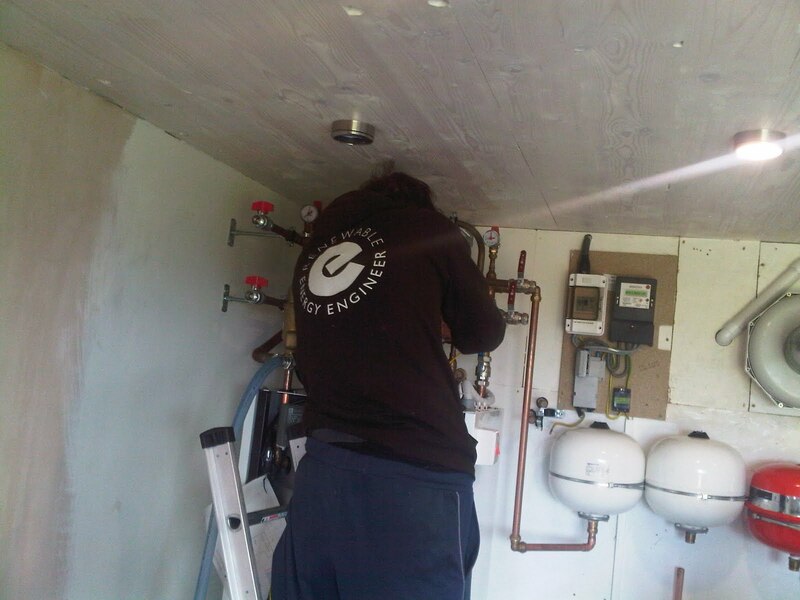 Fionn putting finishing touches to electrics over the top of Ground Source Heat Pump.